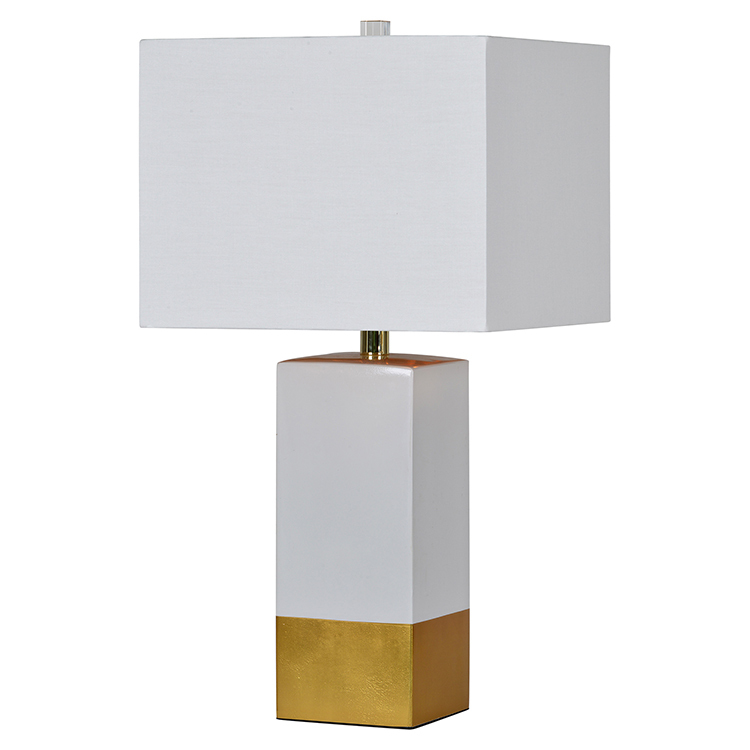 This contemporary table lamp defines luxury with it's simple statement of white and gold. The off white square shard is line with gold reflecting the colors in the base. 13" x 13" x 24.5"